Apart from the question of technique, these Études will be a useful warning to pianists not to take up the musical profession unless they have remarkable hands…. This was Claude Debussy’s warning to students who dared attempt to play his twelve fiendishly difficult Études for solo piano. 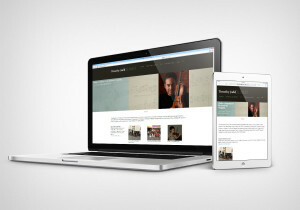 The short pieces were even technically daunting for Debussy, who described them as “music that soars to the summit of execution,” and requires you to occasionally catch your breath, “as after climbing a mountain.” Each étude was designed to showcase a different set of finger gymnastics, from thirds, fourths, sixths, and octaves, to chromatic passages, ornaments, and dissonances. For a very long time, the continuous use of sixths gave me the feeling of pretentious demoisselles seated in a salon sulkily embroider- ing, envying the scandalous laughter of mad ninths…yet I am writing this study where the at- tention to the sixth organizes the harmonies only with aggregates of these intervals, and it’s not ugly! (Mea culpa…). Tomorrow, Debussy’s Études turn 100. He began working on them on July 23, 1915 at a sea-side chalet in Dieppe in Normandy. Fear of an impending German occupation of Paris had driven him to the countryside. He was beginning to show signs of the cancer that would take his life three years later. The ghosts of past pianists seem to have been looking over Debussy’s shoulder. 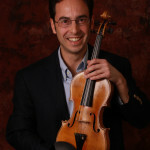 He considered dedicating the Études to Couperin, but instead chose Chopin. (He had just completed a new addition of Chopin’s works for his publisher, Durand). 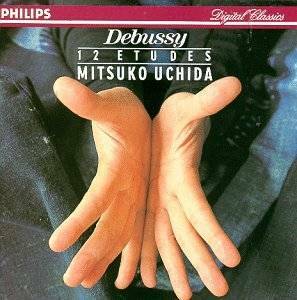 You can hear Mitsuko Uchida’s great 1990 recording of the complete set of Études here. Mitsuko Uchida discusses Debussy’s Études in this interview.